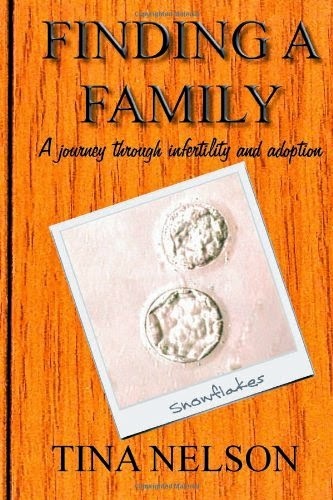 Synopsis: One couple takes you on a compelling journey through their infertility and snowflake adoption story. Their struggle highlights the value of families and faith. An insightful read for anyone dealing with infertility or helping someone who is. Review: Tina and her husband struggled with infertility, the tried adoption but waited for years with no results when Tina heard about a new option, Embryo adoption. They contacted an agency and decided to give this a try. Through Embryo adoption Tina and her husband were able to experience pregnancy and give birth to twins. Tina and her husband are very religious and rely on their faith to get them through this difficult period in their lives. They felt that their Heavenly Father would see them through and enable them to have children and raise a family. You really live Tina's grief of being unable to have children and the joy of finding out she is pregnant. If you are interested in embryo adoption this is a good first hand account of what it entails.